President Rodrigo Duterte declared Jan. 18, Friday, a Special Non-Working Day in Tarlac City as the locality holds its 3rd Kaisa Festival. The Tarlac City Information Office on Tuesday shared on its Facebook page a copy of Proclamation No. 650, issued by Duterte, through Executive Secretary Salvador Medialdea. “It is but fitting and proper that the people of the City of Tarlac be given full opportunity to celebrate and participate in the occasion (of the 3rd Kaisa Festival) with appropriate ceremonies,” the proclamation, issued Jan. 14, said. The weeklong festival, which carries the theme, “Isang Diwa, Isang Puso, Sama-sama Tarlac City,” opened last Sunday, Jan. 13 with the “Mayor Cristy Angeles Cycle Recycle Neon Night Bike Ride” event. It was followed with a Thanksgiving Mass on Monday at the Tarlac City Hall, and a Mega Jobs Fair on Tuesday at the Magic Star Mall. A trade fair is set on Jan. 17 until the 20th at the Tarlac City Plazuela. 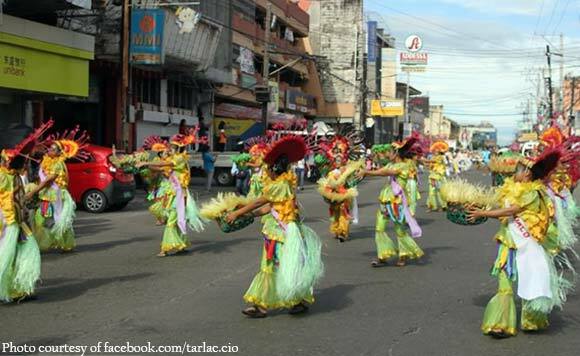 Also on Jan. 17, the Pana-pana Street Dance will be held at the Tarlac City Plazuela, at 2 p.m.
On Friday, Jan. 18, the Grand Float Parade will commence at 1 p.m., while the Kaisa Music Festival is set at 6 p.m. The Grand Homecoming Night will take place on Saturday, Jan. 19, at 6 p.m., also at the Tarlac City Plazuela.